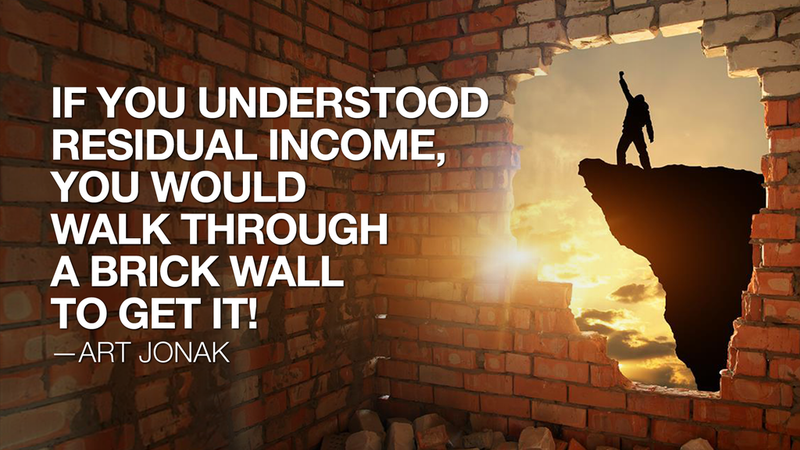 Residual income is income you receive after you have put in the the original effort and work to get it. For example, you work for a month and earn commission on your sales. The next month comes around and you still earn commission on your sales that you did the previous month. Sound good? We think so. A key component of our agents’ success is the power of residual income. Our agents work and act like regular sales managers however they are driven by fact that they have residual income that they can count on. That residual income check comes in every month and is a percentage of their past sales in previous months. This means that they have guaranteed funds every month for no additional effort. This continual income is theirs to claim solely based on past efforts. You may be sitting there reading this port and still wondering exactly how this differs from your current position or any other sales job that is out there. The difference is that our agents do not start at zero every month. Every month that incomes grows and grows. We have agents earning over $7000 per month just based off of their residual income! If you are anything like the many agents that have joined our team, they were tired of starting over every month. Having residual income offered them something that they did not have before: stability. Even if you are sick, take a month long vacation, or have a bad sales month—you have guaranteed funds to fall back on. As each of our agents grow in our final expense agency, residual income progresses from just security into a motivator. It’s amazing to see our agents’ residual income check grow every month. Many of them have even noted that their residual income for the year is more than their salary from their last job. Keep in mind, their residual income is produced on pervious efforts. They have earned this yearly salary amount without closing any more deals. Talk about a retirement plan! Are you ready for security, stability, and untapped income potential? Browse our website and upcoming events where you will find no obligation events where you can come and learn about the power of residual income. You will also be able to meet and talk to agents who have made the decision to join our team and who are now living the life today.